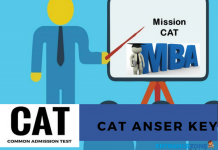 ITSAT 2019 Eligibility Criteria has been available by The ICFAI Foundation for Higher Education, Hyderabad. Also, conducts the ITSAT – Icfai Tech School Admission Test every year for engineering aspirants who wish to get admission in prestigious institutions to complete their higher studies. The ITSAT 2019 entrance exam will be organised by ICFAI Foundation for Higher Education (IFHE), Hyderabad for admission to B.Tech programmes offered by it, The ICFAI University, Dehradun, The ICFAI University, Jaipur, The ICFAI University, Jharkhand and The ICFAI University, Raipur. 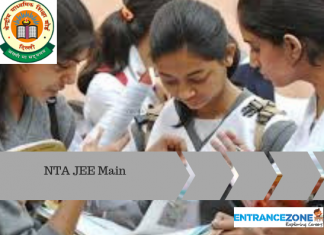 ITSAT Exam 2019 is once such exam which can open the door to a successful future ahead by providing admission in the various branches of the institution namely Hyderabad, Dehradun, Tripura, Jaipur, Raipur and Jharkhand and offering specialization in Mechanical Engineering, Computer Engineering, Electronics Engineering, Civil Engineering and Communication Engineering depending on the score of the student. The student can give a written exam as well as an online exam. Also, there are certain rules by the institution for the students who can appear for the examination. Only those students who fit the eligibility criteria can appear for the examination. Candidates must have scored at least 60% aggregate marks in class 10th. Applicants who have completed their higher secondary exam/ 12th boards from a recognized board can only appear for the examination. Candidates should have a score of 60% aggregate marks in HSB exam for admission to the Hyderabad and Himachal Pradesh campus and 50% in case of the other campuses. The candidates must have studied subjects including Physics, Chemistry, Mathematics, and English in class 12th and must also pass these subjects individually with 60% marks aggregate at least. In case any candidate is appearing for the HSC exam even now can apply and sit for the examination provided he fulfils and takes care of all the above-mentioned criteria. 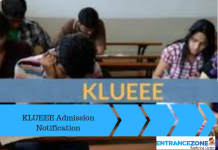 The score of exams such as JEE Main 2019 and any other state level or national level engineering exam will be considered too and a decent score can get admission to the institution. In addition to the criteria mentioned above, the candidate must also fulfil the minimum age requirements as needed by the board in which the student appeared for the board exam. 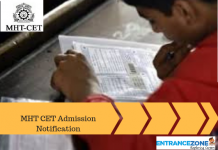 Stay tuned to EntranceZone for the upcoming information regarding ITSAT 2019 Eligibility Criteria and Icfai Tech School Admission Test Eligibility Criteria. itsat college, icfai tech school.